Md. Belal Hossain has a strong theoretical and practical background in statistics. He is currently working as Research Associate at Research and Evaluation Division (RED) of BRAC. 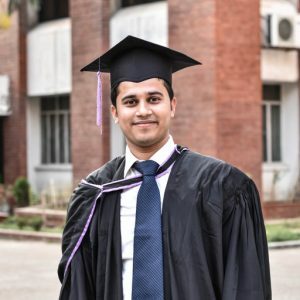 He has completed his Bachelors and Masters degrees in Applied Statistics from the Institute of Statistical Research and Training (ISRT), University of Dhaka. He has received many prestigious scholarships for his academic merits such as University Grant Commission Scholarship, Dean’s award, Dhaka University Alumni Association Scholarship, ISRT Scholarship, Hall of Residence Scholarship, etc. He has gathered significant expertise in research related tasks such as proposal writing, sample size determination, tools development, training and supervision, data analysis, report writing and dissemination of research findings with local and global audiences. He is so far involved with several large-scale national-level research focusing on maternal and child health, maternal and child nutrition, adult health, chronic disease, infectious disease, and WASH. He also received a two-month duration training on survey sampling conducted by USAID in 2018. He has also been contributing to several peer-reviewed journal articles, books, research reports and working papers in statistics and public health extents. He has expertise in statistical analysis and is very efficient in using computing software such as R, STATA, SPSS, MATLAB, Epi-Info and AnthroPlus. Mr. Hossain retains many of the essential qualities to become a successful researcher. His long-term goal is to serve the community through research activities such as cost-effective practical and scalable interventions.